Not that long ago, massage was considered a luxury, a treat that people indulged in. Now research shows that not only is massage pleasurable, it also promotes health. At Shirlee’s Gym, fitness is more than just working out. Fitness is like a three-legged stool: we help you develop in mind, body, and spirit. All are inter-connected. Massage is great addition to the list. By rubbing muscles, tendons and ligaments with light or deep pressure, massage therapists treat areas that are tight or sore. 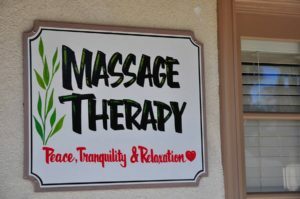 The power of massage also lies in the human touch and individualized connection the therapist provides. Massage relieves stress. We know this not just through anecdotal stories, but also from scientific research. Studies show it reduces heart rate, blood pressure, oxygen consumption, and cortisol levels. Massage has been shown to help sleep and even improve the immune system. Changes in psychological states are also documented. Massage reduces anxiety and depression and improves mood. It induces calmness and focus. Massage then, not only makes us feel physically better, but also mentally and spiritually. A renewed strong, positive attitude, moreover, helps us stay committed to regular workouts, eating right, and interacting productively with others. No wonder trainers insist on massage for professional athletes. Massage is more than a luxury. Yes, it is great way to reward yourself, but it also like seasoning on a meal, improving the taste of everything. Shirlee’s offers a variety of types of massage in our private on-site massage studio. All of our therapists are women who are professionally trained and devoted to compassionately relaxing muscles, easing tension, and soothing your mental state. Call (909) 985-6400 or stop by the front desk to book your appointment or learn about current specials. We also offer gift certificates for easy giving. Dr. Vong is committed to provide quality health care and service in Traditional Chinese Medicine since 2003. Her goal is to educate her clients about natural medicine and supplements, and promote a greater awareness of body, health, beauty and spirit, one service at a time. 30 Min Acupuncture session that targets stress and anxiety. It gives your mind a break from overall wellbeing so you stay calm and focused on what matters to your health. 30 Min Acupuncture session combine with Tui/Na massage if necessary to alleviate acute or chronic pain. Back, neck, shoulder or headaches-whatever’s ailing you, we’ve got you covered. 30 Min Acupuncture session that strengthen your immune system when you’re always on the go. 30 Min Acupuncture session that address women’s health. If your health goal is to have pain-free periods, decrease PMS or manage meneopause- we’ve got you covered. If you are unable to keep a scheduled appointment, please give us 24 hours advance notice, to ensure that you will not be charged for the appointment.